The ArcMap Pull-Down menu also referred to as the Main Menu provides different features to create, maintain and customize your ArcMap projects. 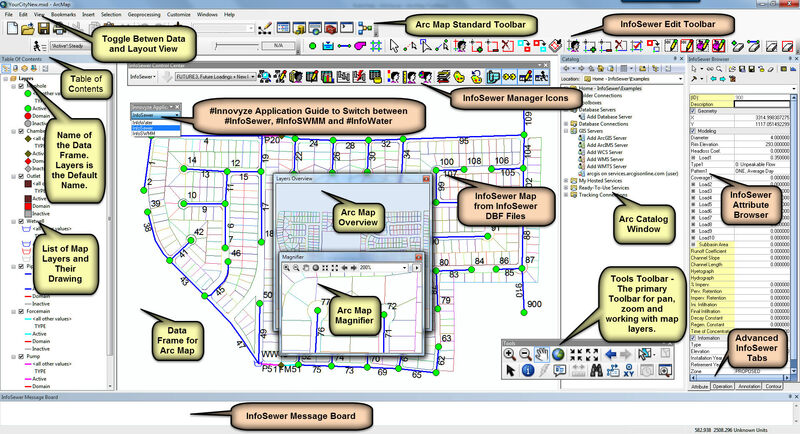 Since InfoSewer runs within the ArcMap framework, you may use any of the ArcMap commands available to customize your InfoSewer project. Use the Open and New commands from the File pull down menus to open an existing InfoSewer project or to create a new one. In both cases you would need to initialize InfoSewer to access the different InfoSewer commands provided through the different InfoSewer toolbars. 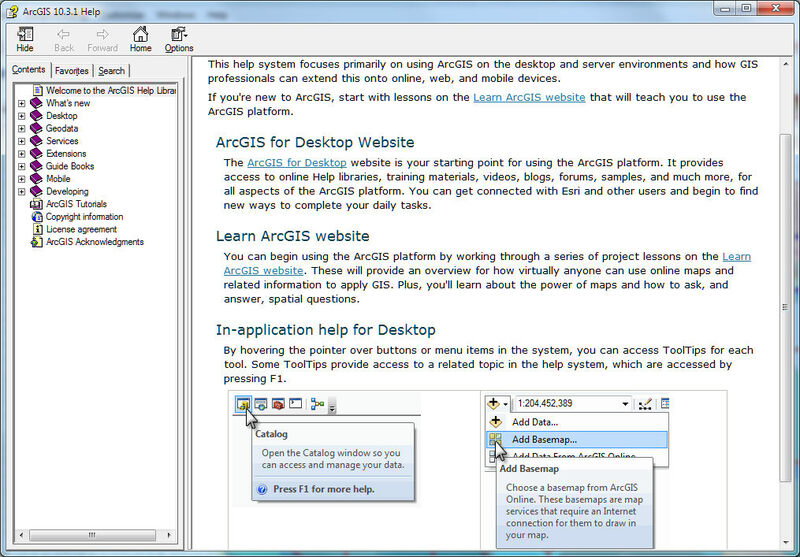 For more information on the ArcMap pull down menus refer to the ArcMap help file.